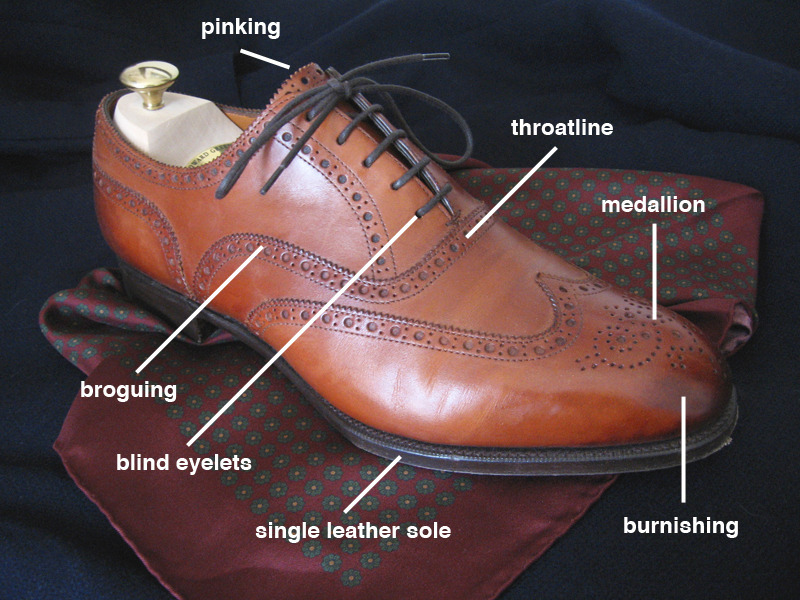 Yesterday’s post on shoe construction seemed to be popular, so I thought I’d do something similar by going through some more terminology. Pictured above are three of my favorite shoes, with some labeling of their different parts. Click each photo to enlarge them. Aglet: A small plastic or metal sheath used to protect the end of a shoestring, cord, or drawstring. 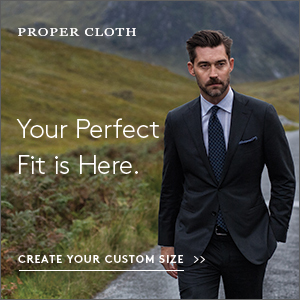 Apron: Some sort of visible stitching or edge that forms a sort of “lake” at the front of the shoe. 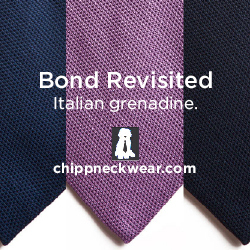 You typically only see this on derbys or loafers. 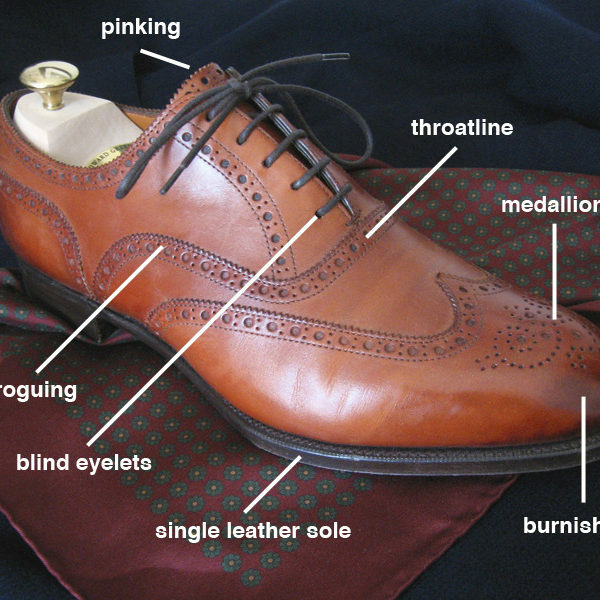 Brogueing: The small perforations and small punches used to decorate a shoe. It’s been said that these were historically done to help country shoes drain out water, but nowadays it’s just for decoration. 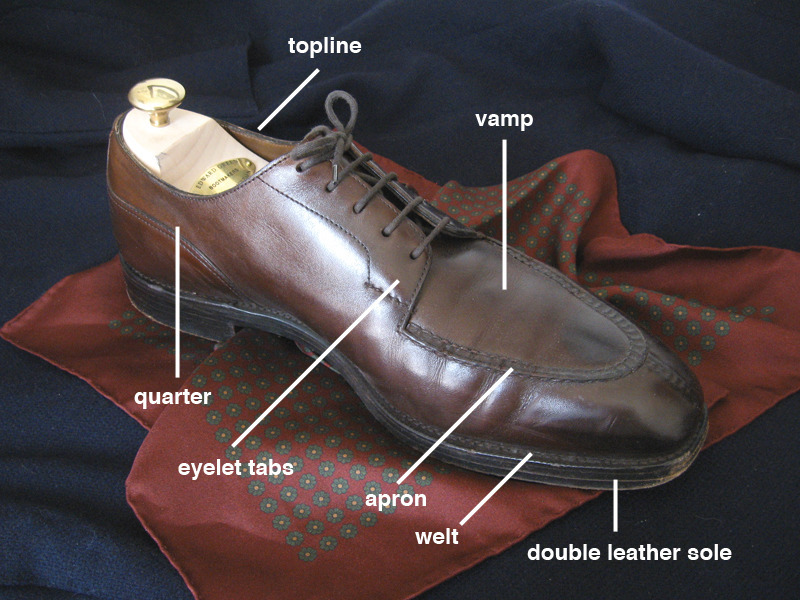 Burnishing: A bit of darkening of the leather, usually at the toe or heel. Sometimes it’s called antiquing, especially if it’s done all over the shoe. Eyelets: The holes through which you stick your shoelaces. Metal rings called grommets are usually used to support these holes. If the grommets are on the exposed side of the leather – the side that you can see – and they’re in a different color than your uppers, then they’re called agatine eyelets. If they match your uppers, they’re called matched agatine, and if they’re on the underside of the leather, they’re called blind eyelets. Generally speaking, blind eyelets are more formal than matched agatine eyelets, which in turn are more formal than agatine. Essentially, the less visible the grommets, the more formal the shoe. Eyelet tabs: The tabs on a derby that are used to hold eyelets. Heel cup: A strip of leather on the outside of the heel used to cover the seam joining the quarters. 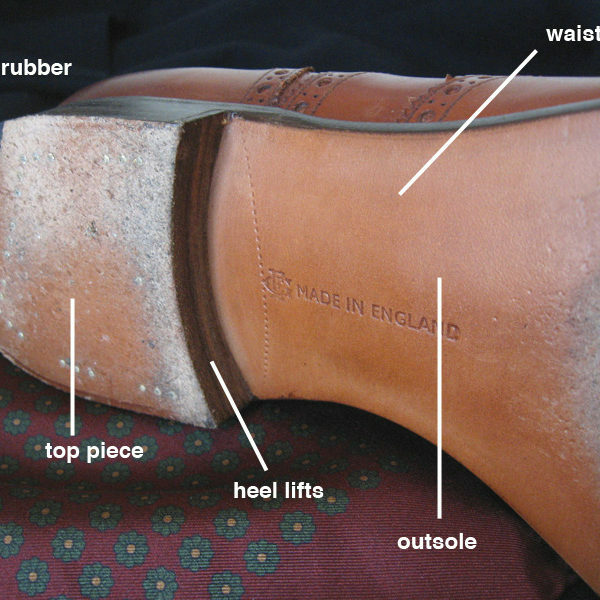 Heel lifts: Two to four pieces of leather stacked to form a heel. The sides are then usually painted black or brown, depending on the color of the upper. Insole: The layer of the sole that goes on top of the outsole and midsole. This is what the bottom of your feet touches when you wear your shoes. Instep: The area of the foot between the toes and the ankle. Much of this is covered by the shoe’s vamp and tongue. 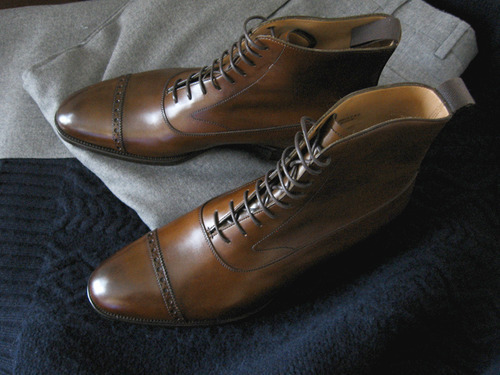 Lining: Most leather shoes have a leather lining that helps the shoe maintain its overall shape. 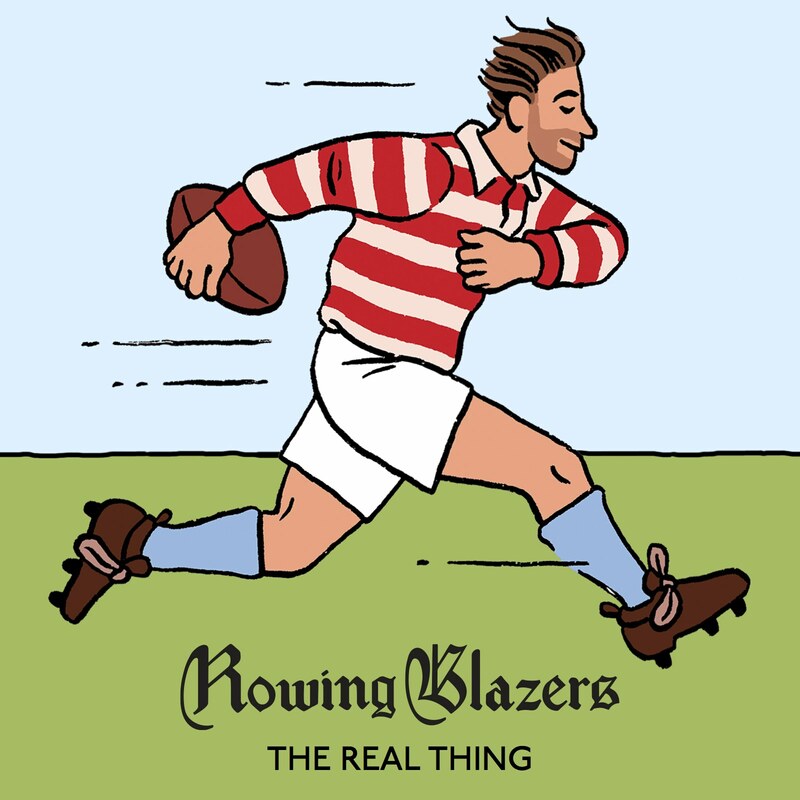 You can see the lining here, and read about unlined shoes here. Medallion: An ornamental detail at the toe created by punching or perforating the leather. 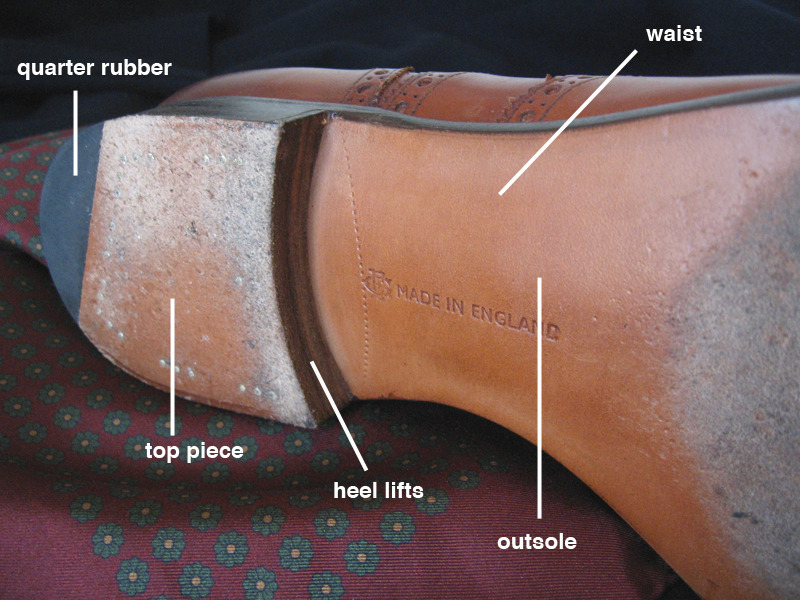 Outsole: The exposed part of the sole that actually touches the ground. Pinking: Zig-zag edges on leather, done for decoration. Sometimes this is called gimping because a shoemaker does this with a gimping machine, in which steel tools with various patterns can be fitted to achieve the desired effect. Quarter: The part of the upper that starts at about the instep and goes back towards the heel. Every shoe will have two quarters – the parts that cover the inner and outer sides of the foot. Quarter rubber: A hard, non-slip piece of rubber that’s inserted into the top piece of the heel. Sometimes it’s protected by plastic “heel protectors,” which a cobbler can put in for you. Scalloping: Like pinking, but instead of a saw-toothed edge, you’ll see a wavy cut. 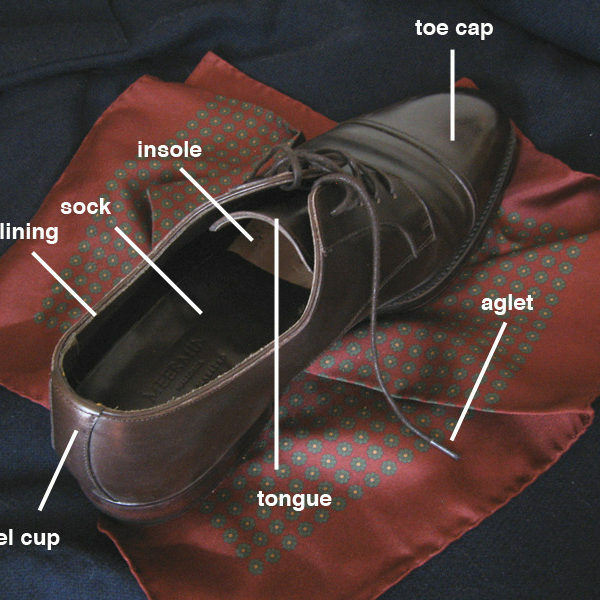 Sock: A small piece of leather used to hide the nails that keep the sole together. 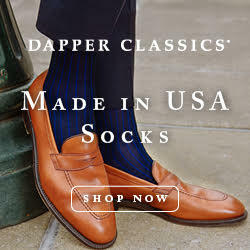 A sock can be full length, three-quarters, or just cover the heel section. The last is most common. Sole: The entire part of the shoe that’s below the wearer’s foot. These can be single or double leather, or even HAF (double tapering to a single). The upper and sole make up the whole of the shoe. Throat: The central part of the vamp that dictates the maximum girth of a shoe. The throatline is the seam that joins the rear part of the vamp to the front part of the quarter. 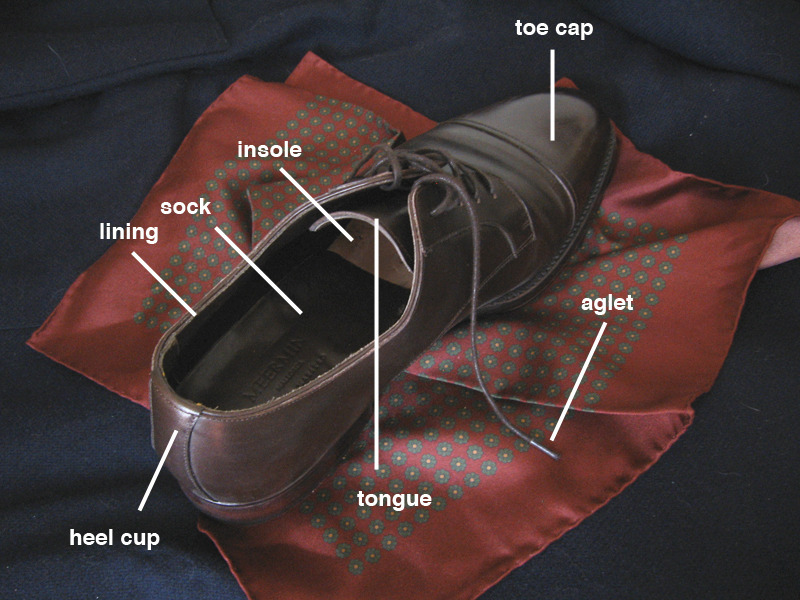 Toe cap: A piece of leather that covers the toe area of a shoe. Tongue: The piece of leather that comes between your foot and the shoelaces. When I was a kid, we used to pump these to make our shoes inflate, because it was somehow believed that inflatable shoes would increase our athletic performance. Topline: The opening of the shoe, where you’d stick your foot in. 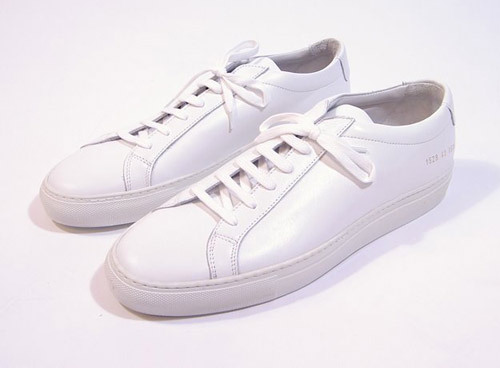 On athletic shoes, this area is typically padded and referred to as the collar. On women’s shoes, you’ll sometimes see the top most part of the topline decorated with a thin, rolled piece of leather (usually in a contrasting color to the upper). That’s called French binding. Top piece: The part of the heel lift that actually comes in contact with the ground. Upper: The part of the shoe that you see that’s above the sole. The upper and sole make up the whole of the shoe. 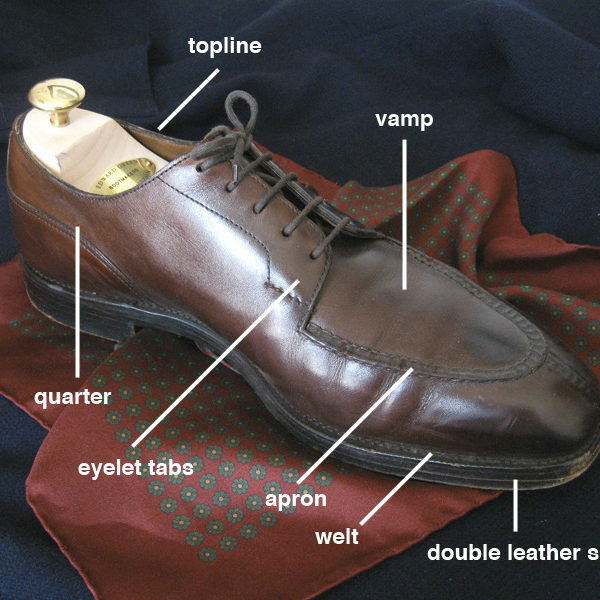 Vamp: If you take a bird’s eye view of your shoe, this is the center front part of the upper. Waist: The area of the shoe that supports the mid-section of your foot, where your arch is. Welt: A strip of material that holds the upper, insole, and sole together. Here we see the welt seam, though it’s important to note that just because you see stitching here doesn’t always mean the shoe has been welted. Sometimes stitches are glued here for decorative purposes.